We are happy to let you know that CodeTwo Email Signatures for Office 365 has gained new features. Now it allows you to easily insert HTML snippets into email signatures and add email tracking parameters to hyperlinks. You may need to use an HTML snippet code from a different source or application e.g. to insert one-click CSAT surveys to your signatures. Now, with the new feature added to the signature editor, HTML snippets can be easily managed. 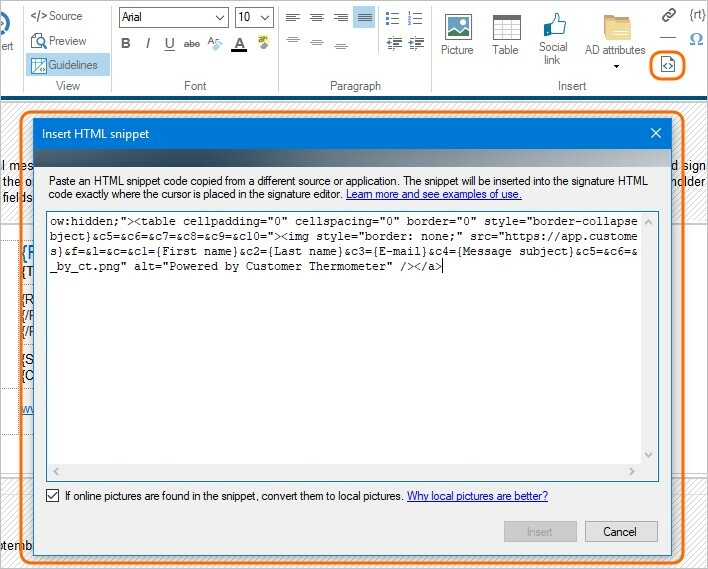 This means that you do not need to open the HTML source code view of an Office 365 signature to insert the snippet. Thanks to the Insert HTML snippet button, it is now super-easy to add the snippet exactly where the cursor is placed in the signature. This functionality is helpful when integrating with Customer Thermometer, CrewHu or Hively. If you use hyperlinks in your signature and they point to resources on your website, you can tag them with special parameters to collect useful data for analysis. 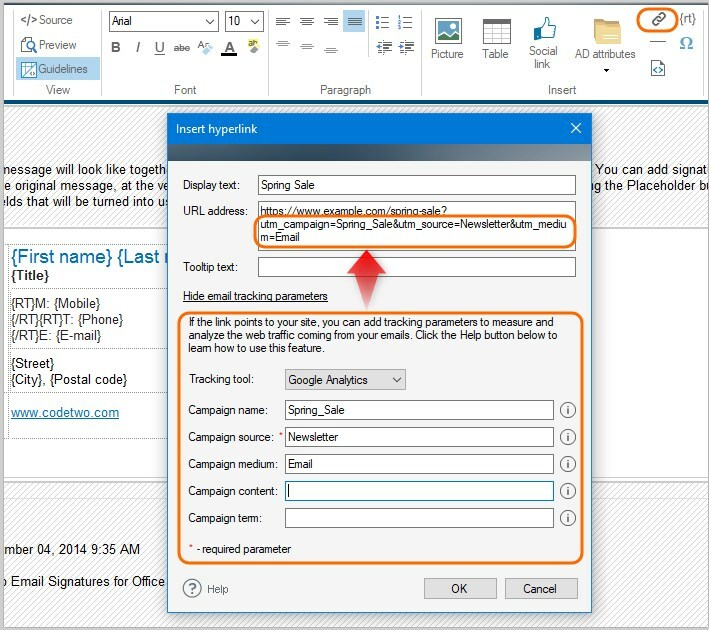 To make the tagging process quicker and easier, we added the Email tracking parameters section to the Insert hyperlink feature. Depending on the tracking platform you choose for data analysis, the parameters will be automatically adjusted to support Google Analytics, Woopra or Matomo (formerly Piwik) standards. This functionality is great for tracking results of email marketing campaigns. For other advice on email signature related topics please visit mail-signatures.com.